…..Slacktivism. What is slacktivism?? It is the illusion that you are helping a charity or cause in some way by performing a task that is easy and that requires no real sacrifice in either time or money. What the real problem of slacktivism is…..it leads the person to believe they have genuinely carried out a charitable act…..which can lead to the person less likely to follow up this act with an actual charitable act. (Taken from the website thatsnonsense.com ). What does this all mean?!??!? 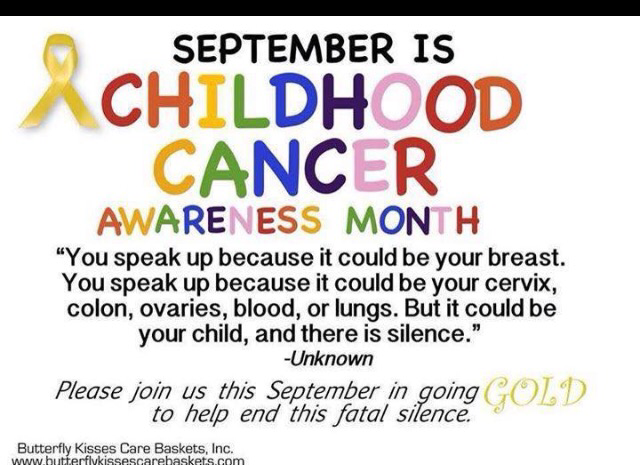 In the world of social media I am guilty of asking all of my ‘friends” to Go Gold for Childhood Cancer Awareness Month. Many, many, many of you have done so. And we all get a warm and fuzzy feeling inside that we are actually DOING something. Reality? Not much is really being done. And I am guilty. Do you want to know what a donation or participation to AshleyCan gives you??? A non-profit organization that truly IS non-profit. There are no salaries to Presidents or CEO’s. Can the American Cancer Society say that? Nope. How about the Susan G. Komen? Nope. In actuality, 95% of all non-profit organizations can NOT say that they do NOT pay their CEO’s or workers. I’m confused. I guess I just don’t understand properly what the term non-profit means. Because someone is profiting off these organizations. AshleyCan Foundation gives to cancer families in need. 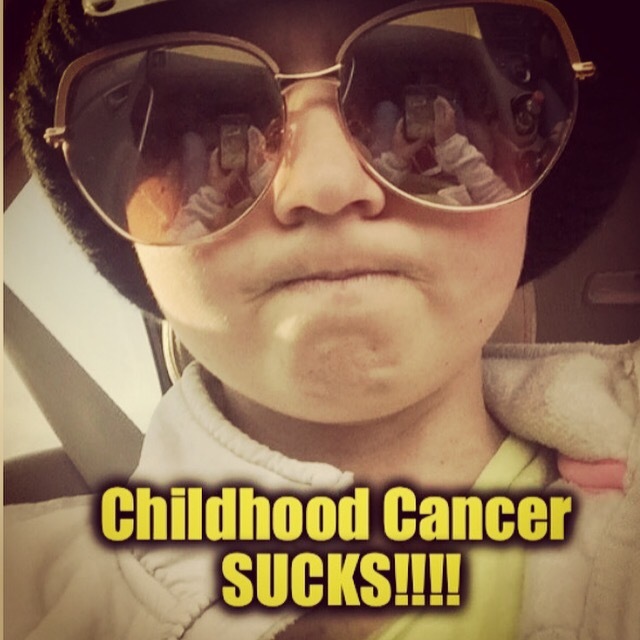 Do you realize the impact financially to a childhood cancer family?? It is devastating. And truly, that should be the last thing families have to worry about…..money and bills. I also want to suggest that I realize many people do not have the resources to donate. How about donating your time? Sign up and do an Alex’s Lemonade Stand at a local store. Ask your schools what are they doing to help find a cure for children fighting cancer. Ask your communities to go the extra step. And continue to share the Gold. The more Gold we see, the more Awareness our kids get. 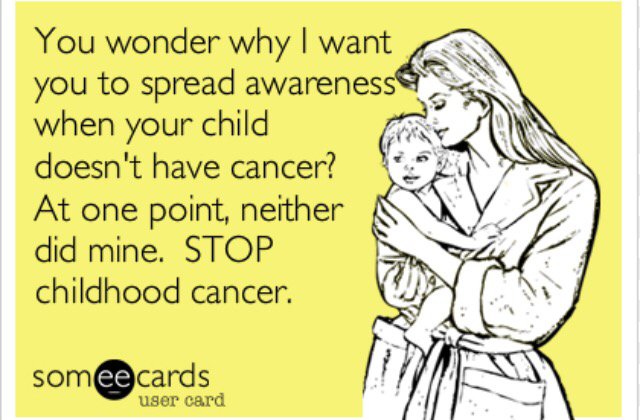 Talk about childhood cancer to anyone and everyone. Finally, we are still awaiting what is the next plan for our sweet girl. Lurie’s Childhren’s Hospital in Chicago will be our new treatment place….we are just awaiting their review of Zayla’s medical history and MRI scans. It has been almost two months since Zayla has had any treatment. This gives me mixed feelings. I am grateful to see her feeling so good. Going to school everyday. Feeling normal. Doing normal teenager stuff. On the other hand, I am worried. We have gone almost two months of not fighting this beast. I want answers. I want action. I want a forever cure for my girl. Is that too much to ask for???? 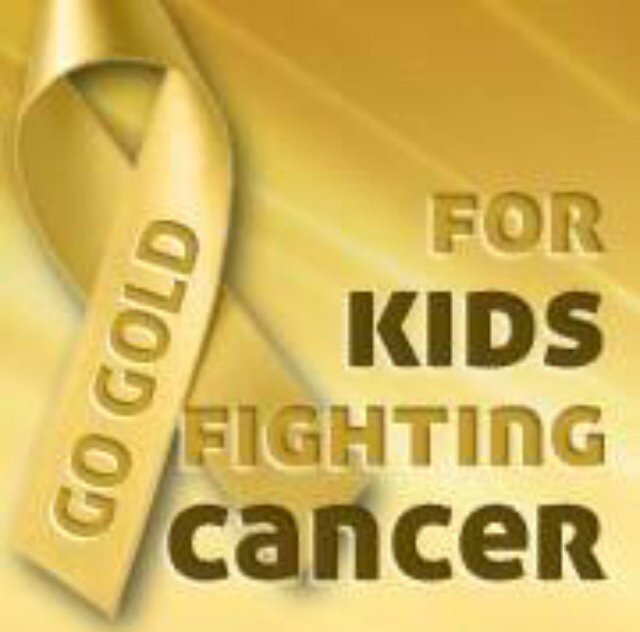 Take on the day…..Go Gold….and do something for the kids fighting cancer.